Register your kit with Canon Professional Services for free, and seize the stories you were born to tell - with priority support, fast repairs, exclusive events and special offers. We know that the difference between a good shot and a hair-raising one is milliseconds, and that the health of your camera could be this difference. Register your kit, and we'll be there if something goes wrong; and inspire you to keep pushing boundaries, when things are going right. Dedicated direct phone line and email helpdesk. Our experts will figure out what's wrong - fast, and offer technical support, membership help, and product advice. We'll repair or service your product in as little as 2 days, at one of our specialist CPS service centres, with a free backup loan if you need it. Get help abroad at local service centres across Europe, Middle East & Africa. Fast, specialised support for accredited photographers at major sport and entertainment events globally. Exclusive invitations to events, workshops, Canon experiences, and special offers, to keep you on your toes. Keep your kit in tip-top condition, with CPS discounts on Canon maintenance from Canon Service & Repair Centres. As a CPS member, when you send your product for chargeable repairs or maintenance services at the Canon Service & Repair Centres we will ship it back to you free of charge. We're present at most major spectator events worldwide - supporting our accredited Canon Photographers. Our expert support varies per event, including: free loans, technical support, free clean and checks, minor repairs plus Priority Queueing for CPS Members - so you won't miss a second of the action. Sign up for free in minutes to discover your membership level; and manage your Kitbag, Points, and Special offers, all in one place. A warm welcome from us to you, with a bespoke welcome pack in the post. Look out for your membership card which gives you quick access to CPS service and support in our service centres and at events. FOR A CAMERA COMPANY TO SUPPORT YOU IN A TIME OF CRISIS, IS SPECTACULAR! Applicable for chargeable repairs or maintenance services at the Canon Service & Repair Centres only. Standard shipping method. Charges apply for enhanced shipping options. An example of Canon kit that qualifies your for platinum membership. 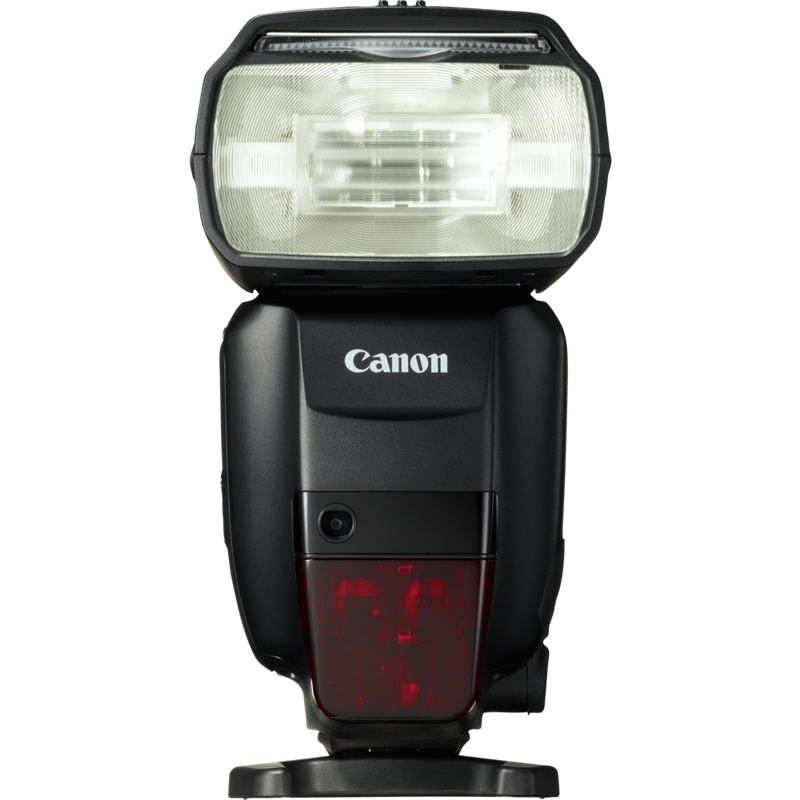 An example of Canon kit that qualifies you for silver membership. An example of Canon kit that qualifies you for gold membership. An example of Canon kit that qualifies you for platinum membership. Austria, Belgium, Czech Republic, Denmark, Finland, France, Germany, Hungary, Ireland, Italy, Luxembourg, Netherlands, Norway, Poland, Portugal, Romania, Russia, South Africa, Spain, Sweden, Switzerland and United Kingdom. Âland Islands (Sweden), Andorra (Spain), Canary Islands (Spain), Ceuta & Melilla (Spain), Gibraltar (Spain), Greenland (Denmark), Guernsey (UK), Isle of Man (UK), Jersey (UK), Liechtenstein (Switzerland), Monaco (France), San Marino (Italy) and Vatican City (Italy). Extra shipping, tax and customs charges may apply. Please contact the relevant Service Centre in advance. Croatia, Estonia, Kazakhstan, Latvia, Lithuania, Slovenia, Turkey, Ukraine and United Arab Emirates. Algeria, Armenia, Azerbaijan, Bahrain, Belarus, Bulgaria, Cyprus, Egypt, Georgia, Greece, Iceland, Iran, Israel, Jordan, Kuwait, Lebanon, Macedonia, Malta, Nigeria, Oman, Qatar, Saudi Arabia, Serbia, Slovakia and Uzbekistan. Although CPS Service and backup loans are not available in these countries, CPS members from these countries can still take advantage of the appropriate level of CPS Service when they travel to the countries that do offer these services. Other benefits such as offers, events, experiences, service discounts vary and may not be available in your home country or territory. CPS Members can currently take advantage of these great offers from our partners. Members can find out how to redeem on their CPS Dashboard. We’ve teamed up with Adobe to offer CPS Members a 2 month complimentary membership to Adobe Creative Cloud Photography plan or Premiere Pro CC. The offer is also available to existing Adobe members*. Exclusive to all CPS Members, we’ve partnered with leading camera bag brand f-stop to give members 20% off all gear on their website. Keep adding products for new benefits! Canon Professional Services (CPS) is a dedicated service for professional and semi-professional photographers and videographers who use Canon products. Fast service and repairs for kit, inspirational events and experiences, and exclusive special offers are some of the many benefits offered to our CPS Members in Europe, Middle East and Africa (EMEA). What are Canon points and how do they work? The majority of Canon products related to photography or videography have points. Simply select your product during registration to find out its points. Once you have fully completed your product details, these points will be added to your account. Your total points from all products you register make up your membership level. A product's points may reduce over time, and cannot be redeemed or exchanged. My product points are greyed-out and there is a blue dot showing. What does that mean? The blue dot indicates that action is required by you for that product so please click on it and take a look. Points are greyed-out when there are details missing and a product is not fully registered. Please edit your product registration and fill in all details (serial number, country of purchase, date of purchase and store purchased). Points will then be validated and contribute to your membership level. How many points does my kit get me? Simply sign up and begin adding your products to find out how many points your kit could get you. You don’t have to finish your registration to discover how many points your equipment is worth - just come back later and finish off to receive your points. Registering with CPS is quick and easy and you'll get instant membership - just sign up with your contact details. To start collecting points towards your membership level, you'll need to register your products. Don't worry, it's super simple and you can enter the information in your own time. You'll need your serial number, retailer name, and country and date of purchase. Once this information is validated, you'll see the points in your account. Please ensure product details are correct, and you have proof of purchase for your products as we may request it when you need to use your benefits or in the event of a Warranty claim. Which Canon products can I register? We have over 3,000 Canon products eligible for registration - including most of our cameras, lenses, printers, and even accessories. Remember to add both old and new equipment, and even Canon products bought outside of your home country could give you points. 120 of our Pro Canon products qualify for Fast Track - which means they can be repaired in as little as 2 days, subject to your membership level. Are the CPS maintenance discount and free return shipping available from all Canon Service Centres? CPS discounts for product maintenance services and free return shipping on chargeable repairs are only available from Canon Service & Repair Centres (as listed in the below FAQ). CPS Authorised Service Partners do not currently offer these exact benefits but may have their own offers so it is worth getting in touch with your chosen CPS Authorised Service Partner to discuss further. All Canon Service Centres for the servicing of CPS equipment can be found using the locator on this page and selecting the ‘Canon Professional Services’ filter. What is the difference between Canon Service & Repair Centres and CPS Authorised Service Partners? Canon Service & Repair Centres are large, regional Canon-owned workshops which are centres of excellence handling a wide variety of Canon servicing and repairs. CPS Authorised Service Partners are independent workshops who have been authorised by Canon to perform services and repairs on certain products for CPS customers to the necessary Fast Track turnaround times. They have the necessary tools and training to perform these services to the very high level of quality which Canon demands. Canon Service & Repair Centres and CPS Authorised Service Partners are collectively known as Canon Service Centres. Can I only use CPS in my home country? Your CPS membership entitles you to support and benefits across all participating countries across Europe, Middle East, and Africa when you travel. Benefits may differ between countries, so please check the participating countries for more information. Can I enjoy benefits in other global regions if I am a member of CPS EMEA? If you are a Canon EMEA member you may be able to take advantage of Canon priority services outside of Europe, Middle East, and Africa with a valid CPS membership card. However, benefits may differ to benefits offered in your home region. Are you part of a larger group or organisation that uses Canon? Choose a membership level for the entire group with Corporate CPS, and keep track of all your Canon kit and photographers from your central account. With hundreds of Pro Partner retailers dedicated to our users, expert advice is just around the corner. Pro equipment for sale, equipment for hire in select stores, and experienced staff, always. Your kit works hard for you everyday. We'll make sure it stays that way, with special member discounts on maintenance, and super fast turnaround on repairs. Interviews with the world's top photographers and filmmakers, photography tips and tricks, the latest Canon product news and special offers, and reminders about Canon events - all straight to your inbox. CPS membership not for you? Sign up for a Canon account, and we’ll look after your product information online. Plus handy hints, tips, and apps, all in one place. *Existing paid Adobe subscribers can redeem the redemption code of the same product, with the same Adobe ID at any time. The limited term subscription offer will be added to the existing paid subscription. In the following countries, existing paid Adobe subscribers can only redeem the code at least 30 days after the paid subscription term expires: Algeria, Armenia, Azerbaijan, Bahrain, Belarus, Egypt, Georgia, Gibraltar, Israel, Jordan, Kazakhstan, Kuwait, Lebanon, Oman, Qatar, Saudi Arabia, Turkey, Ukraine, United Arab Emirates, Uzbekistan.